There is no experience like the natural beauty of Oregon. To experience Oregon at it’s finest, consider a move to the Tumalo-Bend area. 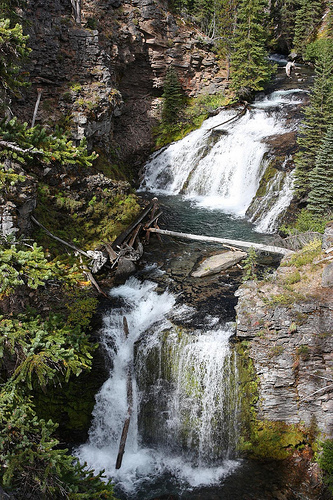 Located in central Oregon, Tumalo and Bend are settled on the Deschutes River. Conveniently situated along US-20 W, the area showcases the natural splendor of rural Oregon. The benefits of living in the Tumalo-Bend area are many. Here you will find serenity and peace in your surroundings. You can get away from the hustle and bustle of big cities without giving up all the conveniences of city life. Bend is an unpretentious town. It does not encroach on the glorious landscape, yet still allows residents to find conveniences such as nearby shopping and entertainment. Many of the businesses here are environmentally friendly and health conscious. In the Tumalo-Bend area residents can find many forms of entertainment such as the High Desert Museum. This museum features a pioneer town and ranch, western art and Native American artifacts. It is also worth paying a visit to the Sun Mountain Fun Center and Pronghorn Golf Club. As one searching out a rural setting might expect, much of the entertainment here is in the great outdoors. One can lazily stroll the nature trails and quietly observe wildlife or make each day an adventure! The Tumalo-Bend area features many natural areas to explore including: Sparks Lake, Deschutes National Forest, Newberry National Volcanic Monument, Tumalo State Park and the Cascade Mountains. Also in the area are the Mt. Bachelor Ski Area, Pilot Butte, Lava River Cave, Todd Lake, the Oregon Trail of Dreams, South Twin Lake, and Crane Prairie Reservoir. There is no shortage of entertainment here either! Residents can camp, fish, boat, swim, golf, hike, bike, ski, snowboard, mountain climb and explore caves. At night in Tumalo-Bend, residents can gaze up into a sky filled with stars and listen to the natural song of the wildlife. There are many neighborhoods in the Tumalo-Bend area. The Old Mill District is home to luxury townhomes and condos. This neighborhood features several restaurants and shops as well as mountain views. Northwest Crossing is a residential neighborhood with many green areas and parks for biking or walking. Aubrey Butte is also a residential community with a golf course, lush landscaping and social clubs where you and your friends and neighbors can be entertained. Juniper ridge is the business center north of downtown Bend and is home to many green businesses. Whether you are ready to leave the big city behind, crave a deeper connection with nature, or just want a change of scenery, the Tumalo-Bend area is just what you’ve been searching for!